Camino Barcelona has one of the largest selections of levels and classes offered in Barcelona. They have classes of all types. From intensive classes, to business Spanish, to more culturally diverse classes such as Spanish + Salsa classes, they are offered at different levels from complete beginner to advanced. They have classes for up to 36 weeks, and the prices of the classes depend on the course and number of weeks you want. For example, an intensive course, that has 20 classes per week is 169€ per week. Classes are multiple times a day for 50 minutes each, and have an average of 7 students per class, to ensure individualized attention. They offer accommodation in the same building as the classes are held for the duration of the program you choose for an additional price. It has 9 shared apartment spaces, a kitchen and terrace to enjoy time with fellow students. One of the best features of Camino Barcelona is their cultural activities program. They offer activities every day of the week such a making paella or sangria, flamenco/salsa classes, guided tours of the city, and night tours of architecture. Most of the activities they host are free of cost and can help you get to know the city and other students vert quickly! One of the most popular and well recognized programs around the world is Don Quijote. They have programs in many Spanish speaking countries to help people learn Spanish the best way possible. They offer many programs as well, ranging from intensive courses to internship programs, that allow students to make the most out of their time here. Their classes are small, with 6-15 students per class, and are 55-minute classes many times a day. The price for a 15 class per week intensive class is 175€ per week, but they offer a discount the longer you stay. Don Quijote sets up accommodation for its’ students 20-30 minutes away from the school, but still in walkable distance to the city center. The school is made up of 55 classrooms with natural light, many common areas, and an outside courtyard. It is located in the E’ixample neighborhood with many shops, cafes in restaurants for the students to enjoy during their breaks. Don Quijote also offers an international Spanish camp for children ages 5 to 17 that are made up of 60% Spanish students and 40% international students. There are 8 different locations that host younger students for the months of July and August, with a variety of activities offered such as horseback riding, soccer, swimming, yoga, theater, and more. This gives the opportunity to learn Spanish in a natural setting through sports, hobbies, and cultural activities, as well as classes at camp. Speakeasy BCN is another company that offers classes for beginners up to advanced students, with a variety of topics such as private courses, conversation Spanish classes, expression courses, and long-term courses. Prices for each course depend on the length of your course. Most courses start at 189€ for 1-4 weeks, and from 4 weeks on, they offer a discount on the price per week. Classes are Monday through Friday in 55-minute segments from 9:00 to 13:00 and have anywhere from 3-10 students. Accommodation can be added for an additional amount and are not directly at the school center but are no more than 20 minutes from the school. Because the school is located in the city center, it makes it easy to take advantage of the sites around Barcelona before or after your classes. There’s access to all types of public transportation in the city center so getting there is no problem, no matter where you live. They offer a lot of options to explore Spanish culture and surrounding countries such as organized beach days, wine tours, cooking classes and weekend trips to Madrid, Ibiza, Valencia, France, and more. 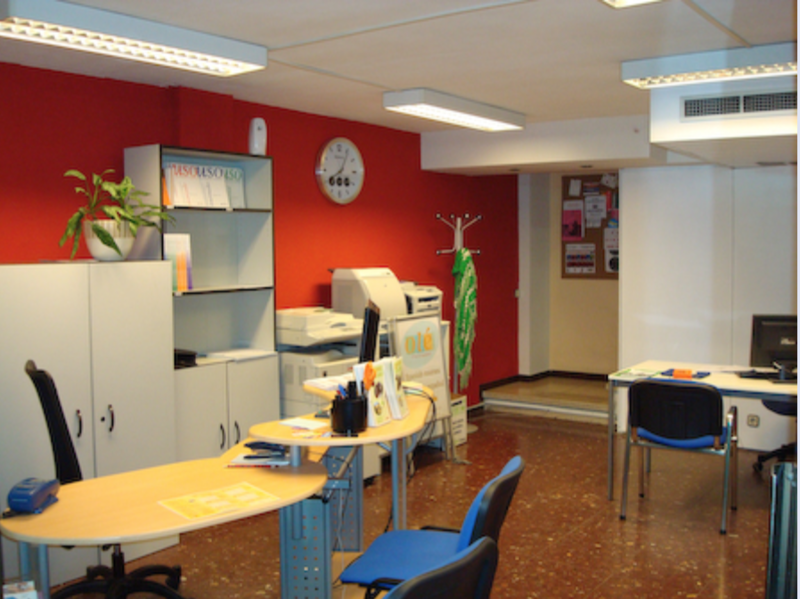 Ole Languages has some of the lowest prices for Spanish classes in Barcelona. With different courses such as intensive, conversational, evening class, and private lessons. They offer discounts based on the number of weeks you sign up for. They have programs from 1 to 12 weeks at 138€ per week for 20 classes a week in their intensive program. Classes are from Monday through Friday and either in the morning from 9:30-13:30 or in the afternoon from 14:30 to 18:30. Evening classes are twice a week and last for up to 24 weeks. Private lessons are 35€ per hour, but are discounted after 15 hours per week. 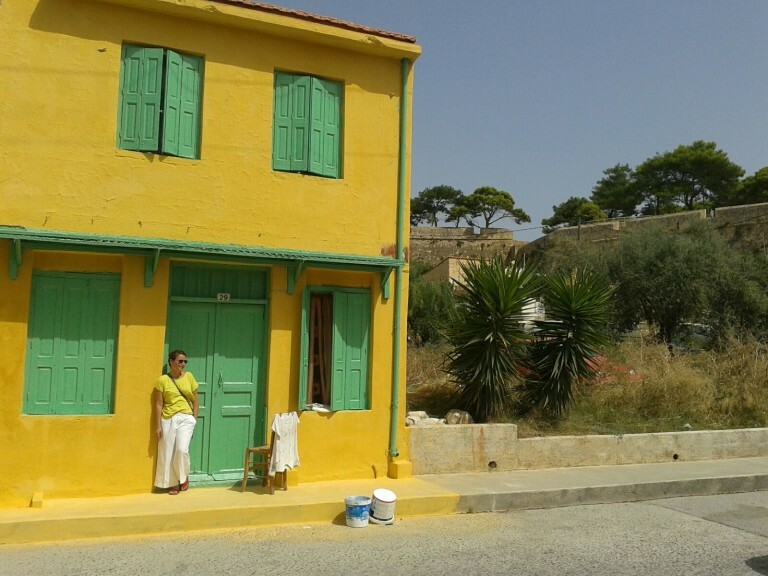 Ole also offers accommodation with a host family or a shared apartment for an additional price. 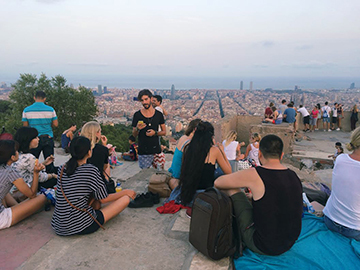 On Thursday nights, they put together events that cost a small fee but make it easy to explore Barcelona, and get to know your classmates. Activities like touring the Gothic Quarter, a tour of Montjuic, salsa night, and weekend trips to surrounding cities are available for students to sign up for. Version Original is another great option for learning spanish at a lower price! 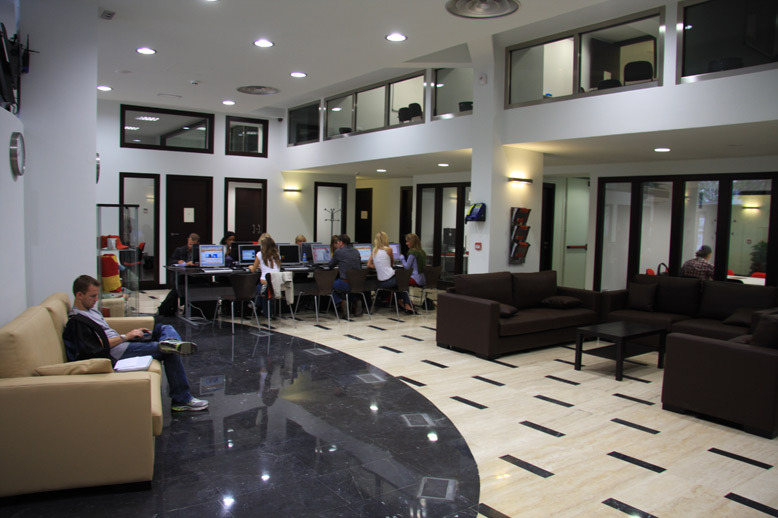 They are cnetrally located, only 5 minutes walking distance from Placa Catalunya, and offer a wide variety of courses. Their classes are 55 minute classes, Monday through Friday, and have 4 to 10 students per class. For the 20 class per week intensive course, the price is 125€, but the longer you stay, the less it costs per week. They have programs from 1 to 50 weeks, depending on what course you take, and how long you want to take the classes. They also offer private lessons and extensive or evening classes. One of the best parts about Verison Original, besides the location to central city spots, is that many of the classes take place around the city. They make it their mission to allow the students to be outside in natural settings to help them learn spanish in a local setting. They also offer accomodation in a shared apartment or host family that is cheaper than a lot of other programs in the area. 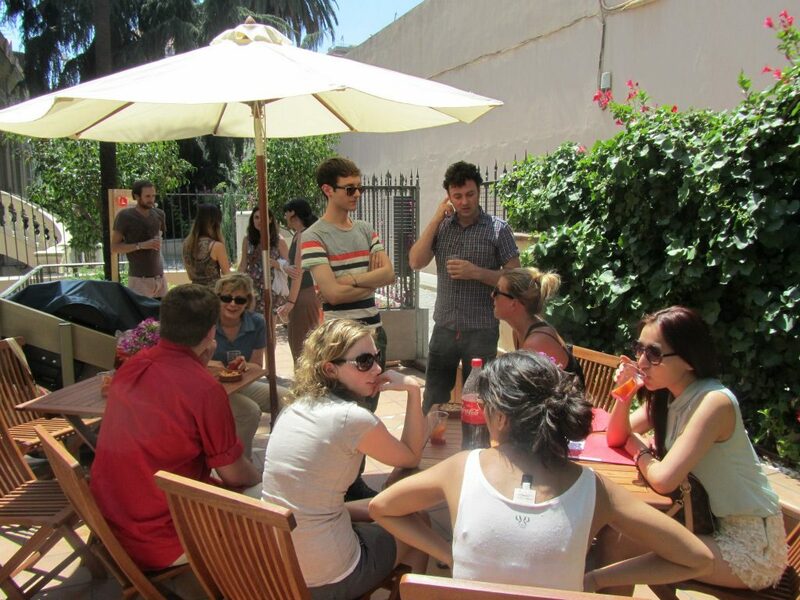 Lingua Schools is another great option for learning spanish from native speakers in Barcelona. They are located 10 minutes walking distance from Placa Catalunya in a late 19th centrury style home, that was tranformed into a school. Each classroom has natural light and modern technology, while maintaining its charm with many common areas to hangout or study, and an outside garden. Their classes are 55 minutes long, with a maximum of 10 students. The intensive course has 20 lessons per week, with 4 lessons everyday from Monday through Friday. The classes would either be in the morning or afternoon, and costs 185€ per week. They also offer intensive classes with private lessons, semi-intensive, evening classes, and private lessons. All the prices can be found easily on their website. Lingua Schools offers accomodation available for an extra cost in either a shared room or single room at an apartment or homestay. They also have airport pickup available for an additional cost. 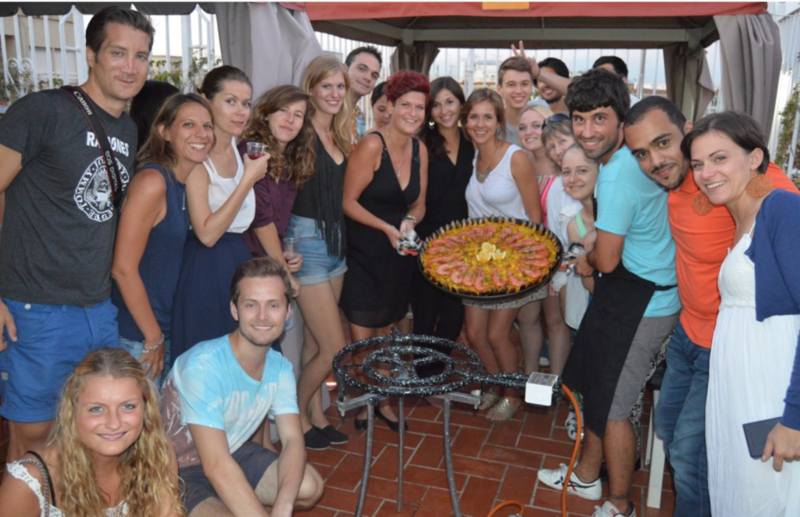 To form a sense of community among their students, they offer activities for the group such as picnicks in the park, tour de tapas, and welcome drinks every Monday for new additions. On weekends they have group hikes to Tibidabo, and daytrips to nearby communities such as Girona and Stiges. Run by only one woman, Barcelona Spanish Lessons is essentially a private tutor for learning spanish. She offers private lessons and small group classes, which have no more than 4 students at once. The private lessons range from 18€ to 22€ per hour, depending how many hours per week you commit to. Small group classes are 15€ per hour, no matter how many hours you do. The best part of this langauge school is that because the classes are so small, you get very personalized attention and will make progress faster than other classes. If you need to learn quickly, smaller groups are ideal. However, this program is more for people who are beginners or intermediate Spanish speakers. The classes are 1.5 hours twice daily on Monday through Thursday from 16h – 20h30. They don’t offer any accomodation or outside of class activities, but prices are lower than most private lesson or small group sessions through other companies.